-- Select a Size -- Small Bottle - Out of Stock! 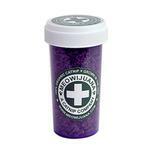 For cats who need the weed, this Purrple Passion Leaf and Flake Meowijuana® Catnip is a like a vacation in a bottle! 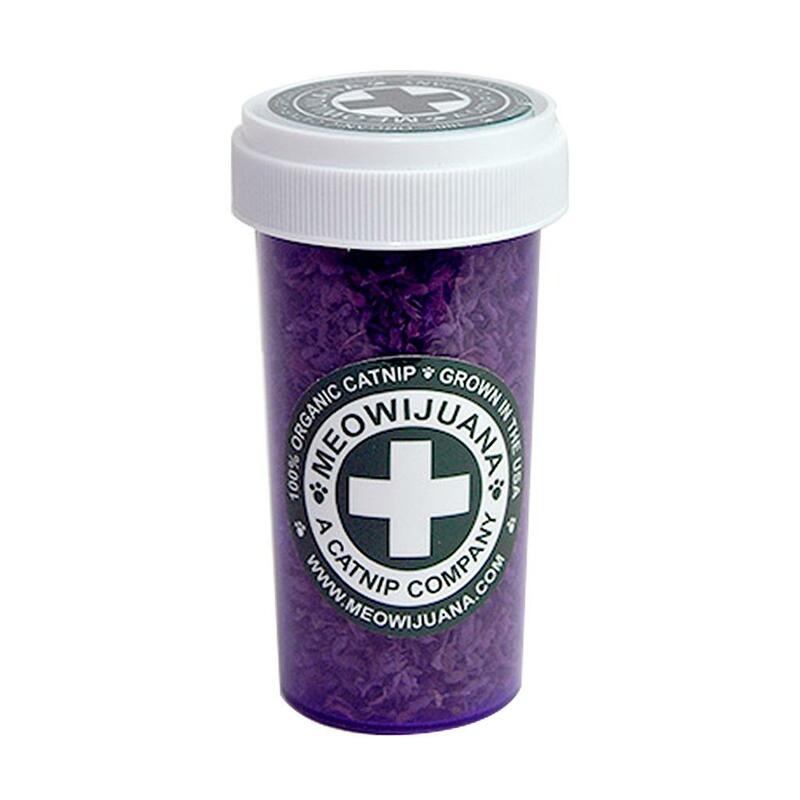 Everybody loves a lil' purp, and your cat will be no exception! Our Purrple Passion catnip is a mind-blowing blend of leaf and flake from only the most purptastic catnip blossoms, ensuring a far-out experience for your furry friends! Yet another choice in our line of the best, USA-sourced, 100% natural Meowijuana®. This is not your garden variety catnip. You can’t grow this stuff in your closet with a grow light! In fact, you can’t buy catnip of this quality anywhere else. We are your dealer. Cat got your tongue? Wait until your feline gets our catnip! Break out the cat chow because this kitty is going to have the munchies! Smoke...we mean fill...the bowl now! Catnip can be given every other day to cats, but after a few minutes, its effectiveness wears off and your cat will need to be away from the catnip for a while in order to experience a reaction again. Purrple Passion Leaf and Flake Meowijuana Catnip Customer Photos - Send us your photo! Pumpkin justs LOVES his Purrple Passion! Posted On 11/02/18 by Melissa C from Salisbury Mills , NY Yes, Melissa C recommends this product! Had been wanting to try this for a while and i’m So glad I did, I have a multi-cat household and some of my cats have never been into catnip. That is not the case with this specific one they all love it. I give every other day and my cats can’t get enough! They now look forward to Catnip day. Posted On 11/20/17 by Rhonda M from Vail, AZ Yes, Rhonda M recommends this product! Darling name and packaging.. I was shocked to find fresh farmed cat nip and not dried out nip. It's soft, flaky, and dark green. Very good quality. The kittens love it!